We just got an update from Commander Greg Assenmacher, who is flying as a guardian for two WWII vets on the Western Slope Honor Flight. He just messaged us that plane has landed in Baltimore, and the vets and their guardians are off on their whirlwind tour of the D.C. monuments. The veterans said this morning’s sendoff was amazing and we can’t wait to hear all of their stories when they return home tomorrow evening (Oct. 6th). Don’t forget to grab your red, white and blue and come to the airport to welcome the Honor Flight home. It’s a guaranteed heart warming, patriotic, goosebumpy good time! The plane is scheduled to land at approximately 6:45 pm, so get there a little early and enjoy the bands and good company from the community. Photos from this morning’s sendoff are on our Facebook page. 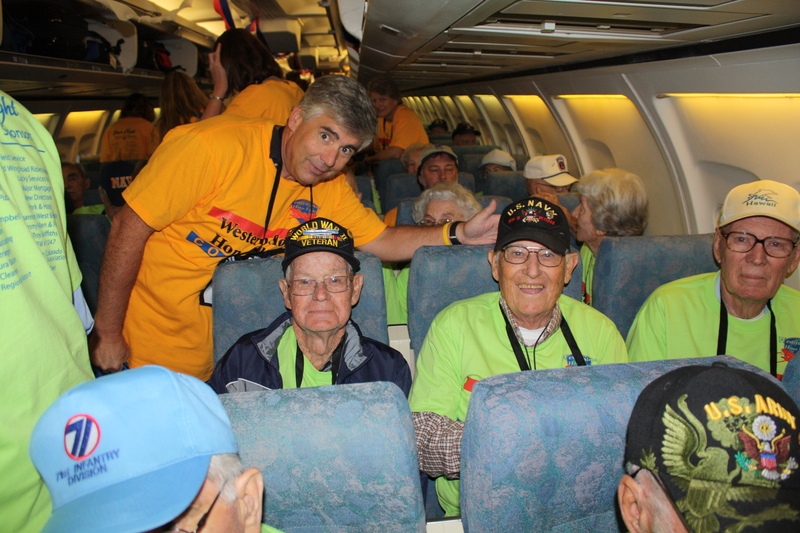 This entry was posted in GJPD News and tagged Grand Junction, Military, United States, veterans, Western Slope Honor Flight, World War II.